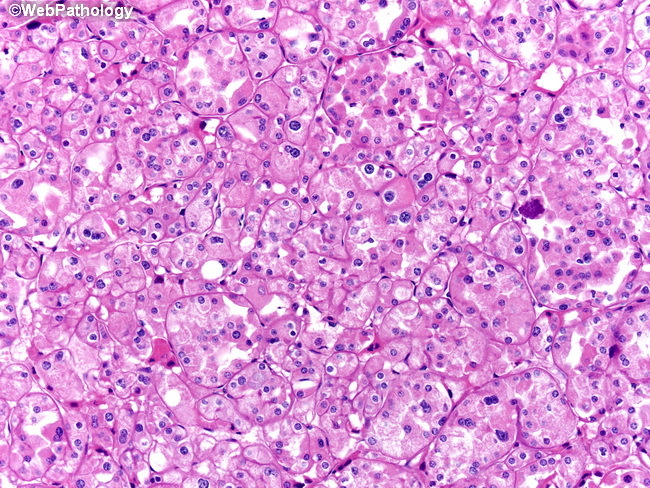 A nested pattern is seen in this image of chromophobe renal cell carcinoma which can mislead the unwary to a diagnosis of oncocytoma. Distinct cytoplasmic membranes are seen but not diffusely present. Several cells are binucleated and a few have wrinkly nuclei typical of this lesion and are not usually seen in oncocytoma.